My name is Ade Holder, Welcome to my little corner of the motoring world; Holder Motoring. I am essentially just someone from Sussex who loves cars and has always done. But over the years that has expanded into a passion for all things automotive and sharing my experiences through writing. I have had the pleasure of driving some of the world’s finest vehicles in the name of freelance motoring journalism, I have also recently found a passion for karting, this really adds another level to enjoying motorsport. I am an Associate member of the Guild Of Motoring Writers which is a fantastic organisation to be involved with in this industry. Being a freelance motoring journalist is not always an easy job but it is pretty much always a rewarding one; whether its writing content for websites with no “by line”, writing car reviews for glossy magazines, making road test videos or just advising on content strategy…I love it all and as long as it involves cars I’m happy. Most of my published articles have been via the Archant Life portfolio in print and online but this is now expanding into sites like www.motor-heads.co.uk and Velocity Torque and Fine magazine as well as content work for various major brands. 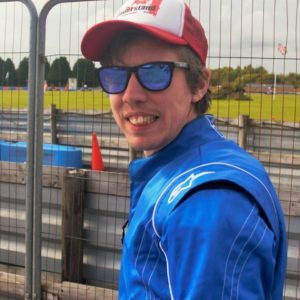 I have covered classic motoring events like the Brooklands Double 12 and Goodwood festival of speed, celebrity Karting events like the Damon Hill Halow race and the DMAX championships as well as writing about track and experience days and road testing cars from Porsche and Aston Martin to Kia and Subaru. I have also provided blog, onsite and article based content for large brands like Confused.com, Perrys and the AA. What car do I drive? A Subaru Forester XT, I lost my MK1 Eunos Roadster which was a fantastic car, but now enjoying the forced induction fun of the Forester. As a freelance motoring journalist in the UK you get to drive on such a mix of roads, we have a raft on small county roads, dull motorways and some smooth and swift A roads. I love them all but a great deal of my testing is done on country roads, I think the changeable surfaces, cambers and corners can often really highlight any issues with cars in a way that larger roads just don’t. Naturally motoring journalism in the UK means tighter speed limits than our chums in Germany for example but I don’t believe you have to speed to test and enjoy a car! I also offer content writing services for motoring websites, motoring blogs and any other automotive outlets. These days having an up to date blog is critical as well as making sure your site has enough quality content. Many motoring businesses and websites simply don’t have time to do this so I offer content writing across multiple platforms. I am finding myself getting more and more requests for this type of work. I am writing motoring blogs and content for a number of major brands like Perrys, the AA and Confused.com where the need for a motoring expert leads them to look outside of the usual marketing team. Due to my marketing and SEO knowledge I am very happy working alongside digital marketing teams in producing the right content for the right job. I am able to do full road tests, cover events and experiences as well and write content for many different forms of publication from brochures to e mail marketing.